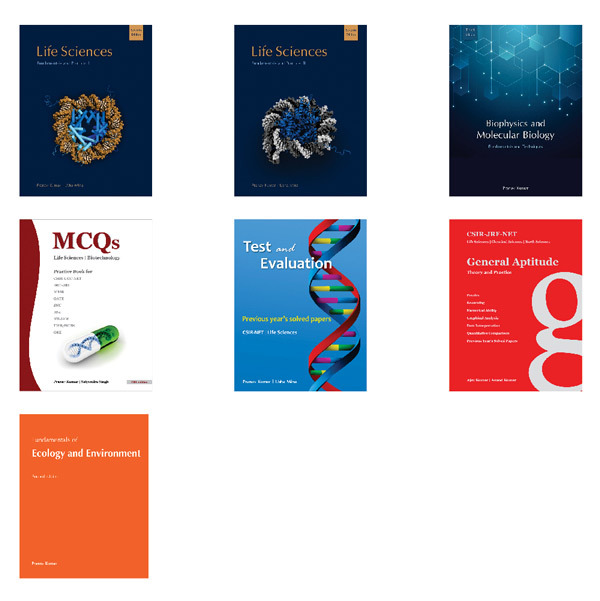 It includes seven books for the preparation of CSIR-JRF-NET (Life Sciences) and other examinations like ICMR, GATE, DBT-JRF, IISc, JNU entrance examinations. Fundamentals of ecology and environment: This book has been written for a broad span of readers spanning from undergraduate students to researchers. Although, the content and text flow has been kept very simple, recent updates and events have also been included in the textbook.